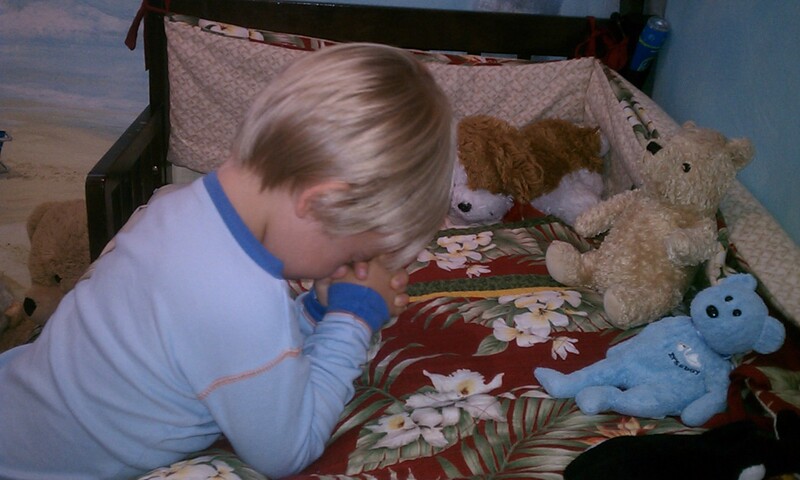 I was snuggling my son before bed when he told me he wanted to pray silently, "in my heart." We both closed our eyes and he was quiet for a long time. Well after my mind started to wander, I peaked and saw that his eyes were still shut.